The fingers, hand, wrist and forearm, more or less operate together, but as I told you in my last chapter, I was obliged to divide my talk on forearm development into two chapters, in order to give you the full benefits of the known facts. The only difference is that the exercises advised for developing the grip, wrist and forearm, are different from the methods employed in stimulating finger strength. Then again, because you have a strong good looking forearm, it does not necessarily mean that you really possess great finger strength; although it does mean that more often, than not. Anyhow, when I have a lot to tell you on one subject, I like to divided it so your mind is not crowded with too much information. I feel that you grasp the details better. Finger strength has a great deal to do with the strength of the three other subjects just discussed, and I think we will find that a little attention given to the fingers will be well worth your while. \have you ever wondered when you were listening to a pianist interpret some difficult music, whether he had strong fingers or not? You know he has a certain amount of endurance, but perhaps that is no more than is usually found in a person who specializes on one thing. However, I have often asked myself that question, and while I knew the average pianist was not the equal of a laborer for strong fingers, I believe that the first class pianist must have more than ordinary finger strength. Of course, it would be a waste of time to look for big wrists, strong forearms and a powerful grip, as a proof of this in a pianist, as they only train their fingers, and as a rule they are not interested in strength or size, so never train with that object in view. I once happened to be talking with a man who is a great friend of Paderewski, the wizard of the ivory keys, and he said to me, "Did you ever realize how it is possible for Paderewski to swarm up and down those flights and every note be even in tone, and yet distinct from each other? How he can race the key board with a crescendo of music, and repeat it like a whisper, but every note is distinct and even? It is because he has powerful fingers. They are like steel cables, and his grasp is like a vice." Well, I figured my friend ought to know, for he is a very powerful man himself and an ardent exerciser. I was not surprised to hear that. It seemed logical in Paderewski's case. But I have seen many various demonstrations of finger strength, and each feat is the exercise that made the fingers so capable when the feat was shown. Therefore, a person has a pretty wide range of instruction from which they can glean many things that are very valuable in helping them to acquire finger strength. So far as lifting weights with the fingers goes, I believe that Warren Lincoln Travis is the best man in the world. He certainly is the best that I ever met, in raising weights off the floor with the aid of his fingers. 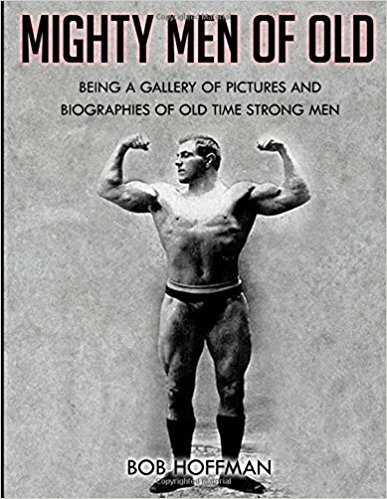 I have seen him make several big lifts with two fingers, but the best he ever did was the time he celebrated his fiftieth birthday, when he raised the terrific weight of eight hundred and eighty-one and one-half pounds, using just one finger of each hand. I was the referee on that occasion, and was proud to see Travis raise the world's record so high. On the one finger lift he has done around five hundred and sixty pounds, while John Pagano has also raised over five hundred pounds with one finger. The lift is not made with the bare finger, as you are no doubt aware. The finger could not grasp the object to lift it. The middle finger is used, and on it the lifter fits an iron eye that has a hook attached, which grabs the object to be lifted. It is necessary that the eye should fit tightly upon the finger up at the first joint, as close to the knuckle of the hand as possible, as the finger is crooked, the eye locks thereon. Just the same it has to be raised off the floor, and that takes power. The ligament of that finger becomes very thick. In some cases, I have seen it become so thick that it made the finger crooked. A few years ago I met an old Swedish lifter who had quit the profession, but in his day was claimed to be a great finger lifter. 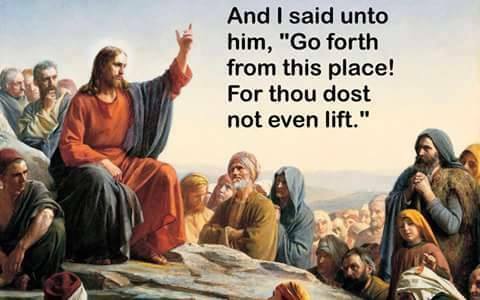 I remember quite well that the middle finger of his right hand was almost twice as large as any of his other fingers, just from practicing that lift. A splendid pastime to test your finger strength, and at the same time build it, is finger pulling. You lock your middle finger with that of your opponent at the first joint near the hand, then you both pull, and the finger that is first straightened out loses the pull. Teddy Mack has very strong fingers. On one occasion he and I locked fingers together and resisted the pull of ten men, trying to get us apart, five on each side. I once had a husky young bar bell user call on me, and among some of the stunts that he did was making a handstand on all fingers, and finally making a perfect stand using only two fingers and the thumbs of each hand. 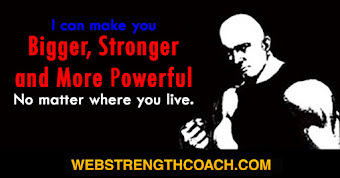 I have seen John Y. Smith, the famous Boston strongman, do the same feat when he was in his sixtieth year. However, Professor Paulinetti told me he knew a professional balancer who actually made a hand stand using only the index finger and the thumb of each hand. Among other clever demonstrations of finger strength, that I had the pleasure of witnessing, was a feat by my pupil Philippe Fournier, of Montreal. 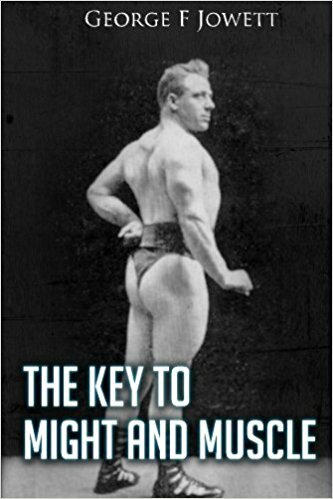 At the Joffre Café where he, Giroux, and the famous Parisian lifter, Cadine trained when in Montreal, was an old solid type bar bell that weighed two hundred and fifteen pounds, and the bar was one and a quarter inches in diameter. By employing just the middle finger of each hand, Fournier made a two hands Clean and Jerk with this bell, which completely stumped the giant Giroux and the clever French lifter, Cadine. It was a terrific feat and I doubt if there is a man living who can duplicate it. Although Fournier only weighs one hundred and fifty-four pounds, he is prodigiously strong, and has exceptionally strong fingers. I have seen him take a large size horseshoe nail, and with the bare fingers of his hands, twist it into spirals like a corkscrew. Another very interesting stunt I saw him do was to place the back of his hand upon a chair, and let the heaviest man present place his thumb upon the first joint of his middle finger; then he told him to force down with all his weight and might, but it was useless. Fournier actually curled that one joint of the finger where all the weight was sustained, without even moving the hand or the other fingers. Despite all the efforts of the man to keep that finger pressed down, Fournier lifted him up, and it is claimed no man has ever been successful in holding the finger down. I remember this feat among the most remarkable, for finger strength, that I ever saw. In wrist turning also Fournier is very powerful; he actually makes most of his living this way, backing himself against all comers without a single defeat so far, being registered against him. A feat of finger strength I have often seen practiced with a billiard cue, is to take the point of the cue and place it just under the index finger, with the weight of the cue supported upon the back of the other fingers. The feat is to press against the tip of the cue so that the full length of it lies in a straight line with the back of the hand. I once heard of a man thus holding out three, but I did not see him do it. However, the information was reliable and surely was a real feat of finger strength. Another feat is to gather the tips of as many billiard cues as you are able, within the grasp of the fingers of one hand only, and hold them out at arms' length, level with the shoulders. Six is the most I ever hears of being correctly handled in this manner. It is a much more difficult feat than a person imagines. Just try one for a start, and then see how terribly awkward two is. Each additional one makes the feat still more difficult. Coin bending and breaking is another test for finger strength, but it is a rare thing to see such a stunt performed. John Marx and Albert Shakesby are the only two I ever saw that could break them, and they were not new coins either. I know many others claim to have done this, but I am dubious of most of them unless I personally see them break my own coins, as in the two cases mentioned. Charles Vanstittart, the famous English athlete of a decade ago who was famed as the man with the iron grip, could wrap up plates of pewter, like paper, with only the use of his fingers. He was also capable of tearing a brand new tennis ball into pieces with his finger strength. He was a man endowed with genuine power, and he was above any shady practices. To see a man take something in his hands and crush it, tear or lift, has always had a fascinating influence over everybody. For some unknown reason, such feats seem to grip the layman with greater interest than great bodily feats of strength. 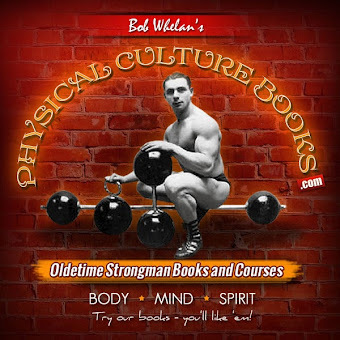 Some time ago, a certain strong man was boosted for his great ability to lift fifty pound plates of iron by the edge with his finger strength, and walk away with one in each hand. I know of scores who can duplicate the feat, many of whom are just light men. 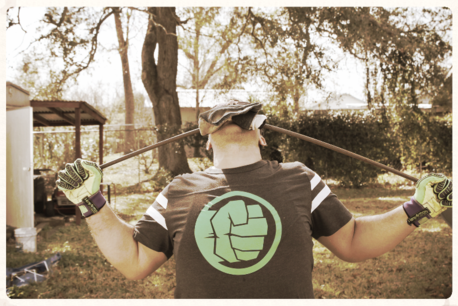 I have seen several different athletes who were capable of snatching one in each hand overhead, both at the same time. Right here in Philadelphia, I can place my hands on two amateur bar bell men who can raise seventy-five pound plates off the floor, gripping them by the edge with their fingers only. It is a mighty task and takes a powerful grip. 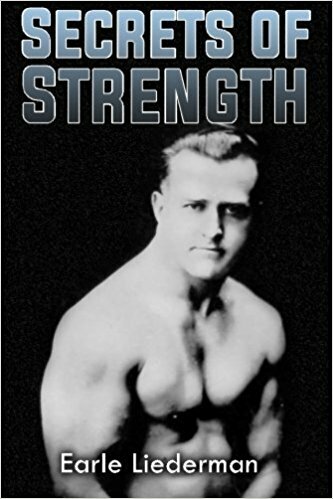 One time when Joe Nordquest was in Philadelphia, he and Teddy Mack were resting on chairs among the weights, when Joe reached down and grasped a thick fifty pound plate by the edge and curled it to the shoulder as pretty as a picture. Completely effortless. Wouldn't you feel you were strong if you could do that? A feat that is more difficult than picking up a fifty pound plate, is to span with the hand the bottom face of a fifty pound block weight and raise it off the ground. It is very hard to get hold of; practically only the tips of the fingers are able to take a hold, with the thumb. 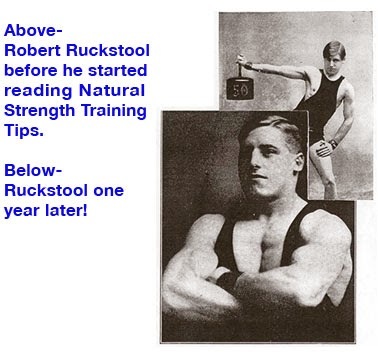 Robert Ruckstool is very efficient at this stunt, and his hand is not extra long, but he does it neatly. Here is another very difficult feat which I unexpectedly ran up against some years ago. I was calling on a very well known strong man, and he told me he was going to introduce me to a German athlete who was very strong. I was glad to meet him, and quite naturally we got talking about strength, and the first thing I knew was that this son of Anan brought forward a round ball of iron and asked me to lift it. Personally I don't think a man should expect another to equal him on a feat which he had specialized upon for years and condemn him if he fails. I am always willing to try anything whether I fail or not, but I prefer men should test their merits on a matter of stunts, rather than hold to their specialty. This man was very boastful and loud in his belief that I could not lift the ball of iron. I told him I would not be surprised if I failed, s the ball was very large for my hand and finger, while the other man had a much larger hand. Three times he failed to raise it, but to my surprise and to his consternation, I lifted it on the second attempt. I have found that anything that has a very large diameter should not be gripped too tightly. If this is done, the object is forced out of the hand. A grip that is inclined to be loose is the best. If yu ever watch a manipulator of coins or billiard balls work, notice how easily he seems to hold them within his fingers. A little further back, I was talking of lifting plates of iron by the edges. If you want something a little more of a teaser than a fifty pound plate, just take two twenty-five pound plates with beveled edges, and stand them on their edge side by side; then span the two with the hand and raise them. It is a little more catchy, as the plates slip against each other, and with the beveled edges they help to neutralize your finger grip. Chinning the bar with the fingers is a test you do not see performed every day. I have seen Charles Schaffer chin himself perfectly three times with one finger. I have seen him stand between two boards that supported a floor, and catch hold of the joist between the thumb and fingers of each hand. Hanging thus, he never had any difficulty in chinning himself. Later I saw him walk between the two joists, hanging in the manner he chinned himself. He would chin himself hanging on one joist with the palms of the hands facing him; although the walk along is much more difficult. When I get thinking about finger strength used in chinning, I always remember the remarkable feat performed by Professor Schmidt. I never saw anyone who could duplicate it, or ever hold their bodyweight for a fraction of a second in the manner I am going to explain. He would tie a length of chain on a horizontal bar, just high enough overhead so that he could reach up and grasp it. Now I want you to get this right so you will better appreciate the feat. The links in the chain were not the long wide links that allowed you to hook your finger in them. They were links that were too small to allow any such hold. Well, Schmidt would take hold of the last link with only his index finger and thumb, in much the same way that you would hold a pencil lengthwise between your index finger and thumb. With only this slight catch, the professor would positively chin himself and hold himself chinned. He weighs about one hundred and twenty-five pounds, but I have seen some of the cleverest finger chinners in existence hopelessly fail at this test. 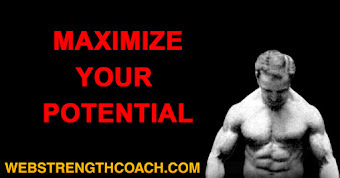 It is a feat that you do not have to attempt to duplicate to realize its enormity. Your imagination will explain it sufficiently. I once saw a sailor take a cocoanut and crush it to pieces between the palms of his hand, by interlacing his fingers. The feat is equally an arm feat, but if his fingers were not strong, they would have pulled apart under the great pressure. Lock your middle fingers together and allow some of your friends to try and pull you apart. See how much resistance you can withstand in this manner. It is a good test and helps to make a good exhibition feat. Talking about feats with an anvil reminds me of a particular feat that I performed impromptu which takes a great amount of confidence as well as strength. It happened at one of the times that I picked up an anvil by the horn in a smithy shop, and after that stunt I pressed the anvil to arms' length by lying it on its broadside upon the flat of my hand, which is not as easy as it sounds. After I had done this I put the anvil on the floor on its base. We began to talk about various anvil feats being so difficult because of its awkward unbalanced construction. One man remarked that it would be some stunt to balance the anvil on the hand upside down. That meant the face would rest on the hand and the heavy wide base on top. Somehow I conceived the notion I could do it, and accordingly I took hold of the face with my right hand, and with the help of the left arm got the weight to the shoulder. Despite the wide base and the bad balance caused by same and the horn, I not only succeeded in balancing the anvil by its face, but pressed it to arms' length, to the amazement of all. I have done it many times since, and for this volume I performed the same feat, thinking it might interest my readers. The anvil weighed one hundred sixty-eight pounds. Now you may think that these two feats have nothing to do with finger strength. Well it has, and a great deal. In the first feat where the anvil lies broadside upon the hand, the gret pressure of the concaved side forces the hand back tremendously. If you have not the finger strength to resist the pressure, the hand will be forced too far backwards and the feat made impossible. In the last described feat, only the thumb and the ends of the fingers span the anvil's face and it is these slight catches that enabled me to control the balance and keep the anvil perpendicular throughout the feat. The Canadian lifters have a feat in which finger strength is very important. In one way, they see who can carry the heaviest dumbbell the farthest, in each hand, before the weight pulls out of the fingers. Another way, a bar bell is lifted, like in the two hands dead lift, and the walker tries how far he can walk forwards--not sideways--with the bar bell in his hands. It is difficult to walk this way, as the bar bell is in the way of the forward leg movement. I saw Arthur Giroux in a contest, walk fifteen feet with a bar bell weighing 657 pounds, before his fingers were straightened. Giroux and Gorner would make a great pair in such a contest, as both have powerful hands and fingers, and have so far proven themselves the greatest men in the world on such feats of strength. Get a bunch of your fellow exercise fans together, and try some of these stunts. You will get fun and profit from them, and they help to break up the monotony that might exist in constant ordinary exercise training. You will never miss the time spent this way. It is an interesting play that keeps your enthusiasm alive, and will have a valuable influence upon the size and strength of your forearm.